Northern Gannets have an intensity to them that I can't get away from. Their eyes pull you in. 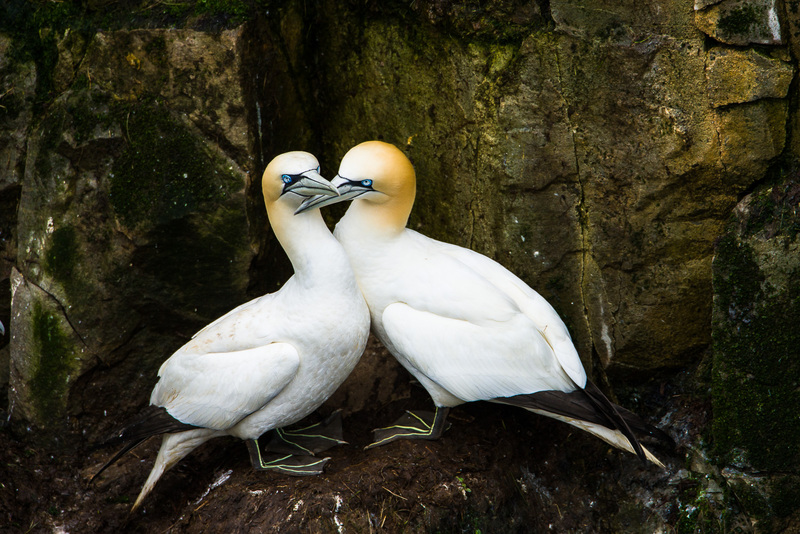 This pair along the edge of sea stack keeps close, heart to heart, as members of one of the largest gannet colonies in North America. Photo © copyright by Lance B. Carter.